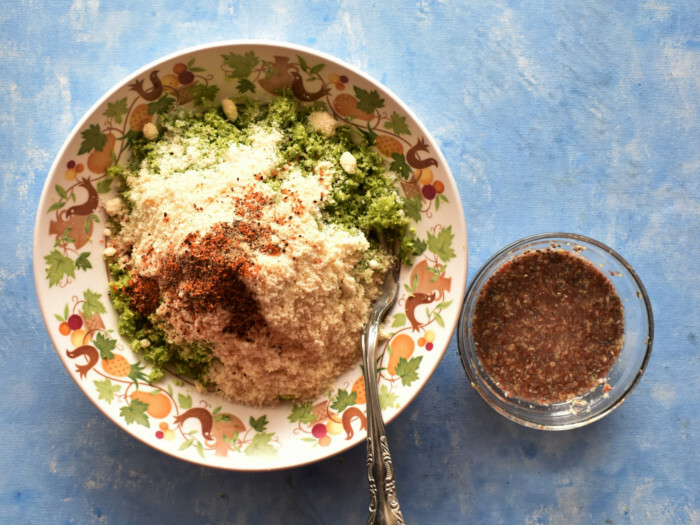 Broccoli is the trending veggie everyone is talking about. I was curious about this vegetable until one day, I decided to experiment with it. And there is no looking back. I love the taste of broccoli and I make sure it is incorporated into my diet twice a week. And why not, broccoli is rich in antioxidants, protein, and fiber. Broccoli is also a great option to those on low carb diet like me. So this time around, I want to share my broccoli mini muffins. It’s easy and can be made in minutes with pre-preps. The savory muffins taste delicious and you can pair them with some thick curd or drizzle lemon honey mix. 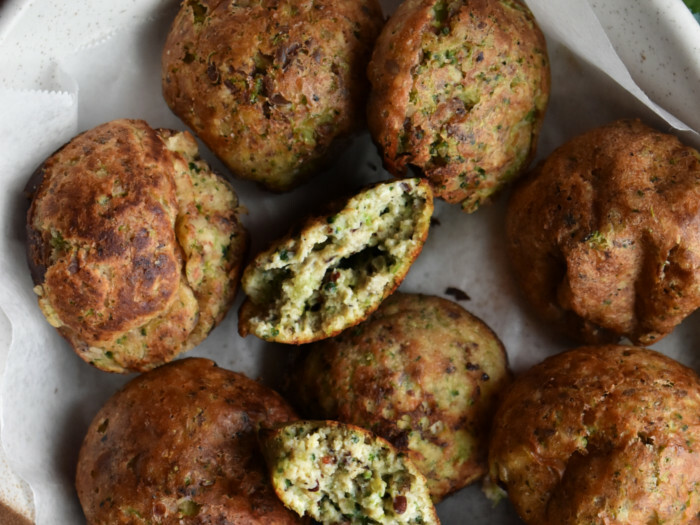 Enjoy the savory muffins without the guilt of eating high carbs. To make savory broccoli muffins, wash the broccoli head and chop the florets. Meanwhile, in a food processor, grind the florets to fine pieces. 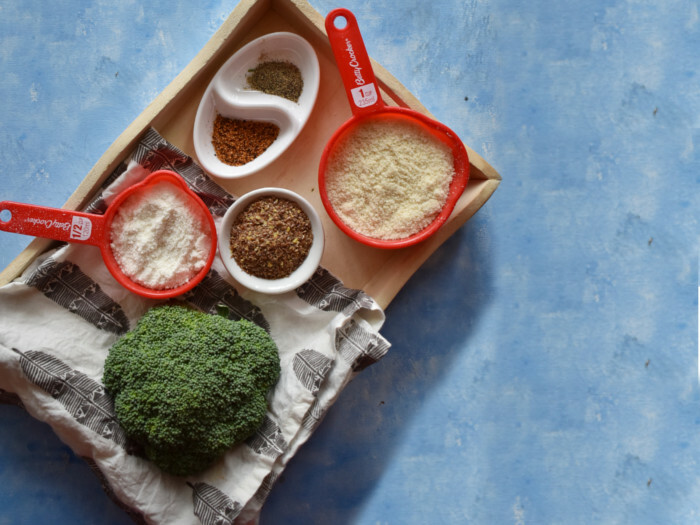 Transfer the fine broccoli to a mixing bowl and add almond flour. Thereafter, add pepper and chili powder to it. In another bowl, add flaxmeal and 2 tsp of water and let it sit for 2 mins. Mix all the dry ingredients together and then add water. Do not add all the water at once, slowly add water until the mixture is just damp. Ensure that you don’t make it runny. Let it stand for 8-10 mins so that the flaxmeal absorbs water and becomes sticky. Heat the oven to 325 degree F and spray the muffin tray with baking spray. Transfer the mixture to the muffin pan and bake it for 15-18 mins. Do a toothpick test to check if the muffins are cooked. If not cooked, bake them for 5 more mins. 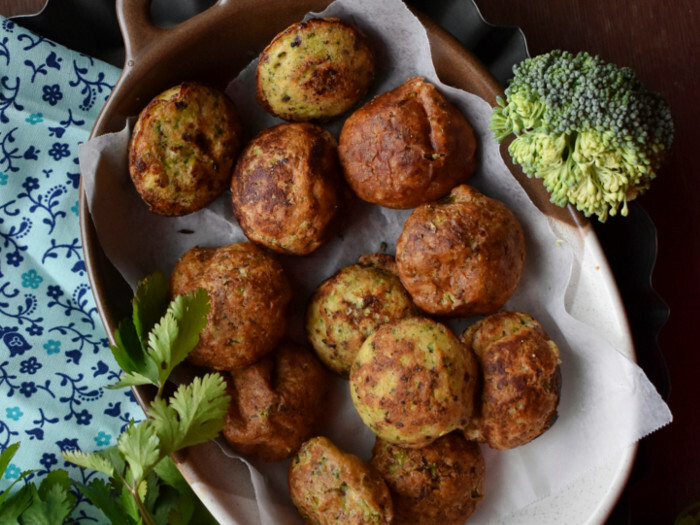 Alternatively, you can also use Appe (Paniyaram - a South Indian dish) pan to make these savory muffins. Spray the pan with baking spray and transfer the mixture to the pan and cook for 5-8 mins . Do a toothpick test to verify if muffins are cooked. Now, serve the muffins hot with sauce or chutney or curd, as per your preference. I have made this recipe vegan. But you can also add 1 egg into the mixture to get fluffier muffins. Hi! I am Jui. If you love tea, vegetarian food and lots of giggles, we probably work on the same wavelength. Testing software code and food recipes are what make me happy. I have a food blog and I mostly re-create long lost Maharashtrian traditional recipes and also develop recipes that are vegan and vegetarian.